With roots in the Document Management business for over a decade, SoluSoft is uniquely qualified to assist your company with a SharePoint solution that meets your organizations needs. From document organization and structure to forms and index definitions, we can help you better define your document management portal solution to be more efficient and effective. While one of the most powerful features of SharePoint, the workflow capabilities are also one of the most difficult use. The workflow experts at SoluSoft can help companies define their processes and implement them as workflow processes to make effective use of this capability. From simple review and approvals to complex interfaces to existing line of business applications, we can show you how to make your employees more efficient and give management the information they need to make better informed decisions. 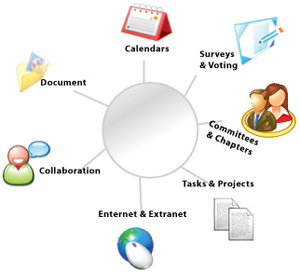 The Multi-file Format Viewer (MFV) from SoluSoft addresses several needs of SharePoint users. It can eliminate the need for all team members to have MS Office installed on every desktop an also provides a mechanism for adding annotations to documents without altering the original document. The MFV converts all MS Office and many other typical business documents to a standard image file and enables the user to view documents regardless of the native viewers installed on the client PC. These image versions are presented to the user in the MFV interface and it adds numerous annotation capabilities to the viewer’s arsenal of tools. The viewer itself is a lightweight application that is automatically downloaded the first time it is needed on a specific machine. Once the user has completed the review of the document only the annotations are saved back to a custom SharePoint database for future use leaving the original document untouched. In applications where it is necessary to add documents to a SharePoint portal site that originally exist in paper form the i2Scan Batch Scanning Solution will be available to meet those needs. The i2Scan product has robust batch scanning features as well as sophisticated recognition tools that allow documents to be automatically indexed and categorized for use in a number of Document Management solutions. New features will soon be available that will allow batched to be automatically imported into the appropriate SharePoint portal site quickly and easily. A new SharePoint output format readies the documents for importation into the system and the SharePoint Capture Broker automatically searches for documents and their associated full-text versions to be added to the portal. Feature rich OCR, ICR, and Barcode capabilities in i2Scan make this integration a snap. The SharePoint Capture Broker provides a configuration interface to the broker service that is both simple to use and powerfully effective. Whether it’s the importation of incoming mail or back file conversion of project plans and specifications, the i2Scan Batch Scanning Solution will provide a new aspect to the use SharePoint in many environments.